A fine set of MP40 sub machine gun pouches. 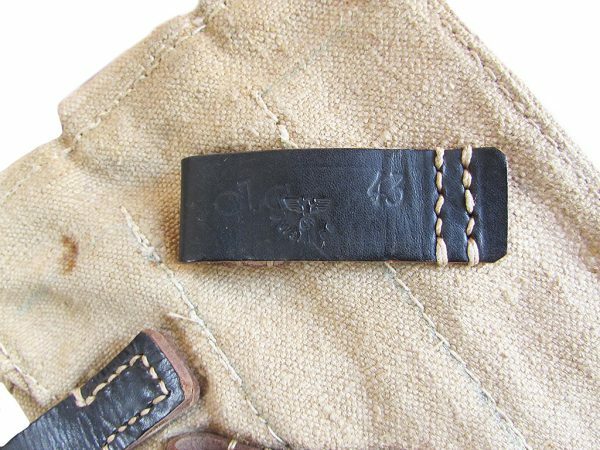 They are text book Ernst Melzig, Lederwaren (clg) mid war manufactured pouches, nicely stamped, manufactured from tan canvas material, with stitched seems. 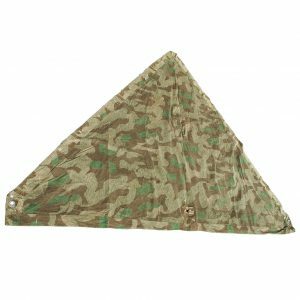 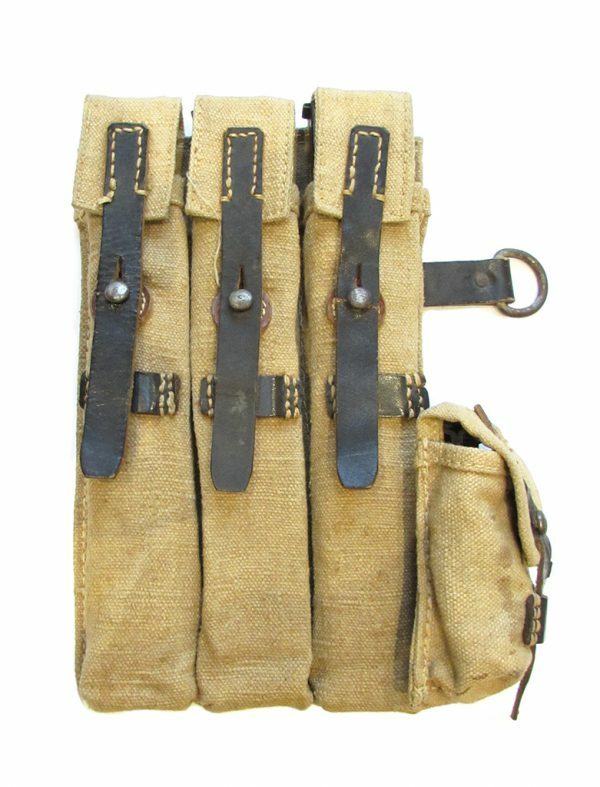 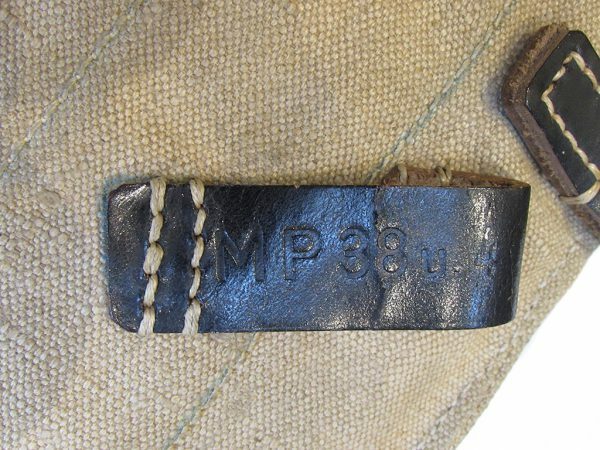 A fine set of veteran bring back pouches for the MP40 sub machine gun. 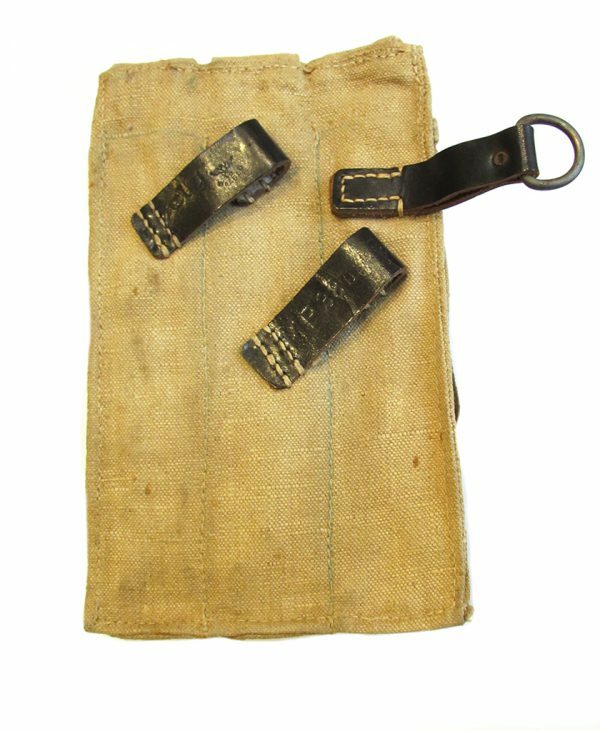 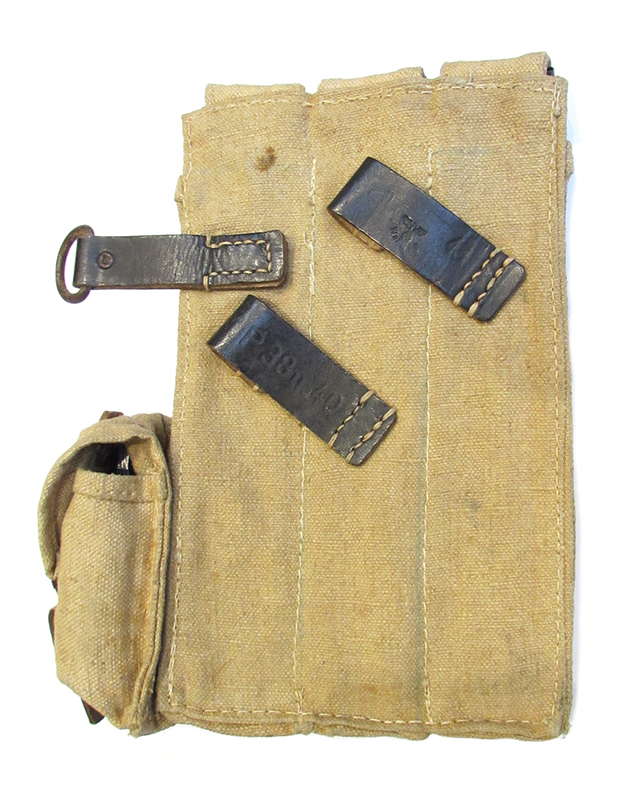 The pouches are text book Ernst Melzig, Lederwaren (clg) mid war manufactured pouches, manufactured from tan canvas material, with stitched seems. 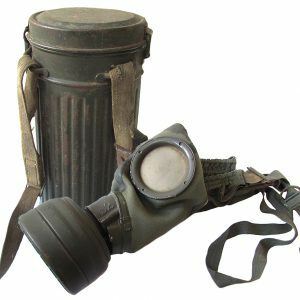 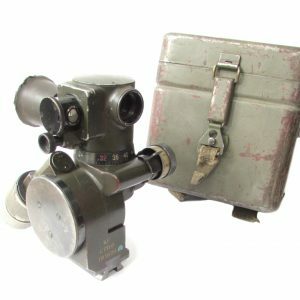 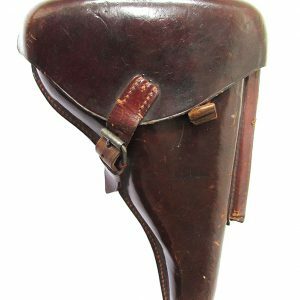 Both are in excellent condition, matching, with the nomenclature mp38u40 and maker code clg, with 43 date and Waffenamt stamp to the reverse leather belt loops. 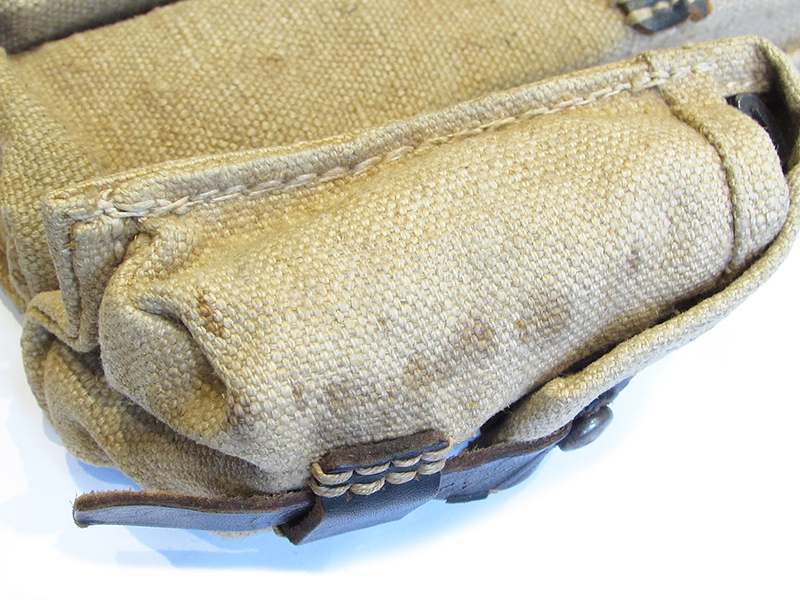 Both pouches and the right hand pouch in particular have blood spatter staining on the canvas from combat usage. 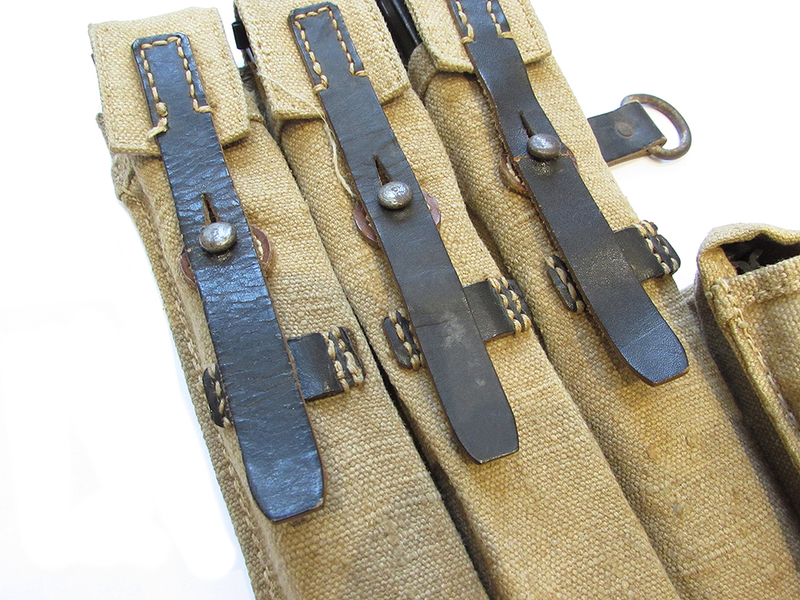 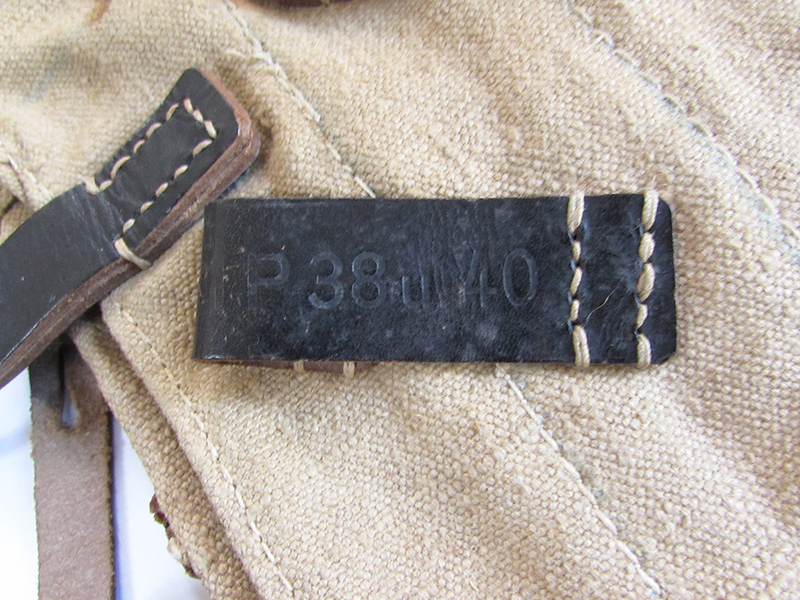 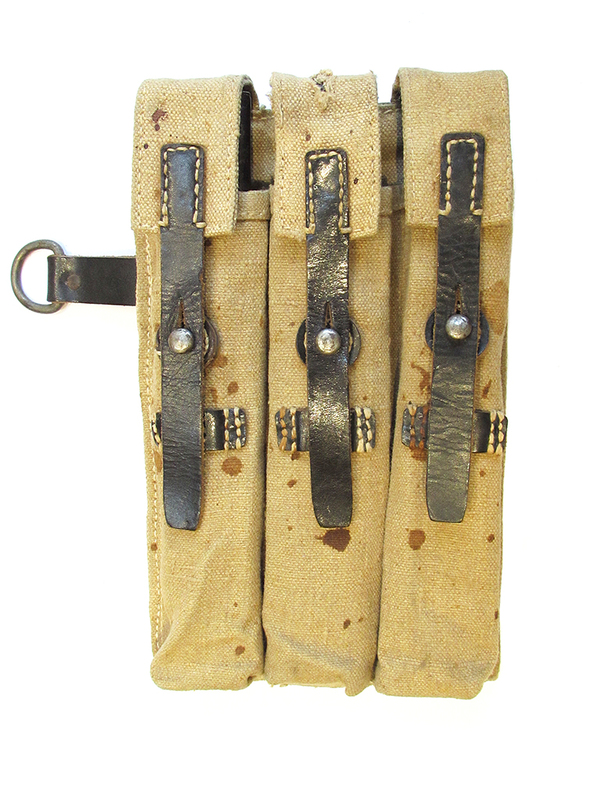 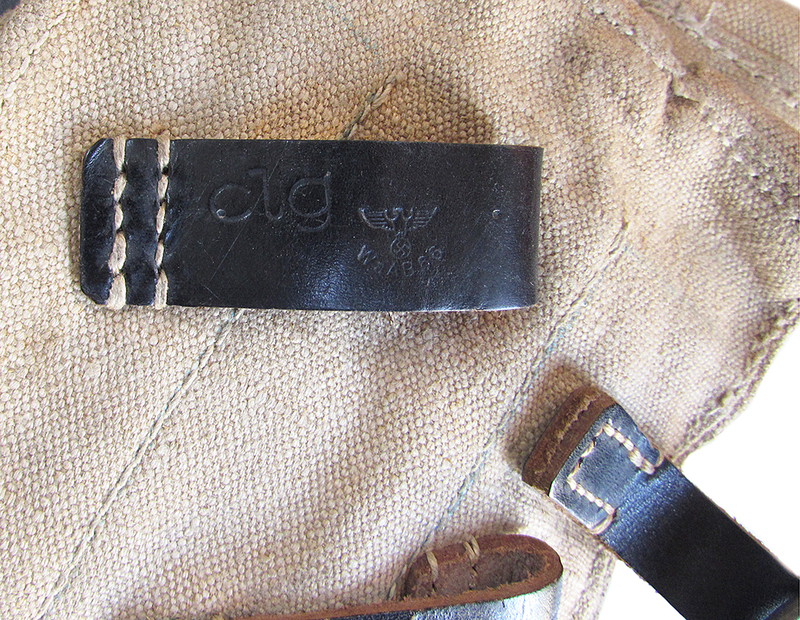 The blackened leather straps are in good condition, with steel retaining loops and studs. The pouches have the three pockets for the magazines with fold over top flaps and the left hand pouch has the the smaller pouch for the loading tool and brush set. 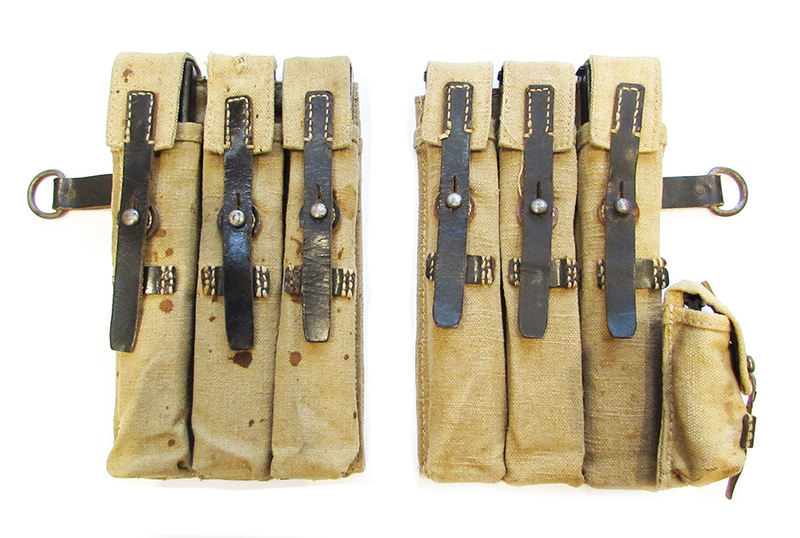 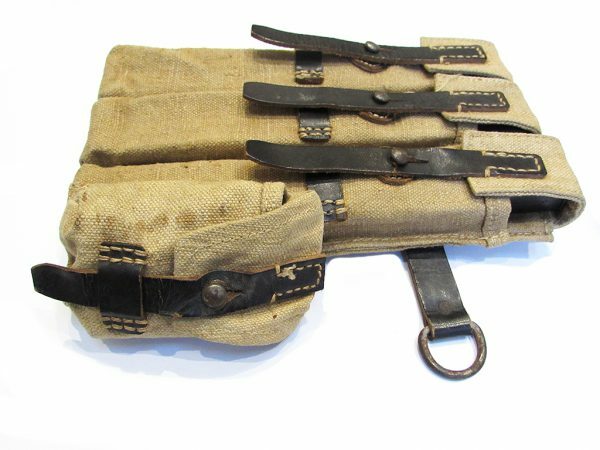 A very fine and desirable matching set of original MP40 pouches which have definitely seen combat.